I can’t wait to show you what my amazingly talented sister-in-law, Laci created (we call her the Ana White of the family)! My little neice is one of the cutest ballerina dancers ever and has been doing it for 3 years and LOVES it. 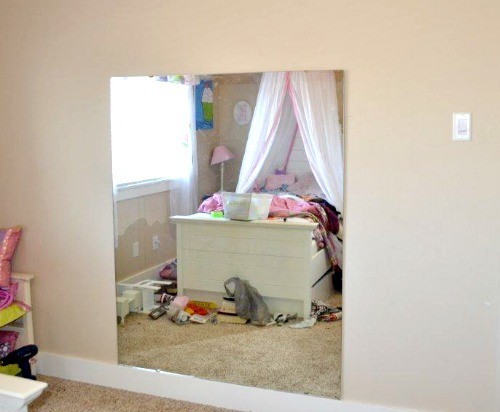 Laci said Katie’s only complaint was…”I can’t practice at home mom, I need a mirror and a bar.” Now she has no excuses! 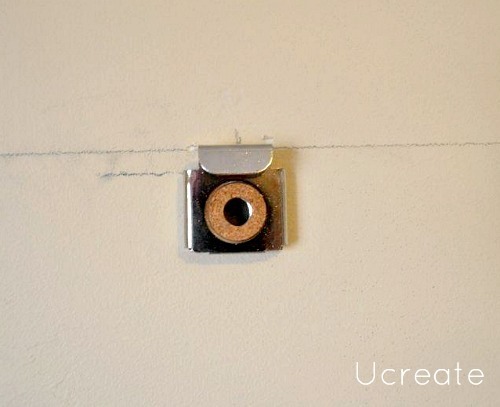 First, she prepped the wall and used four mirror clips, two on bottom that rested on the baseboards and two spring loaded clips above that just happened to conveniently be placed in studs. …and painted the wall an adorable pink color (Porter Paints Rosebud). 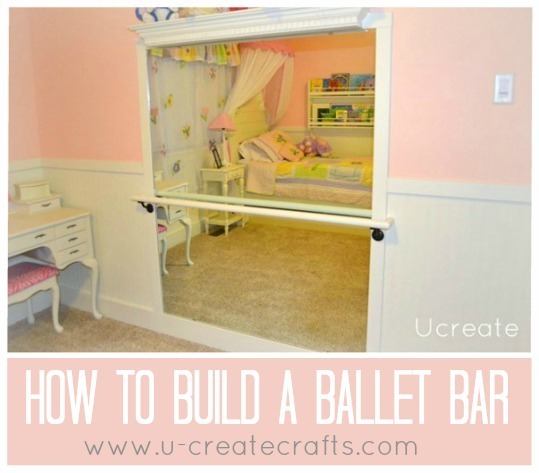 She has a beautiful ballet bar… perfect addition to Katie’s room! SO amazing. She did such a great job. That looks awesome. 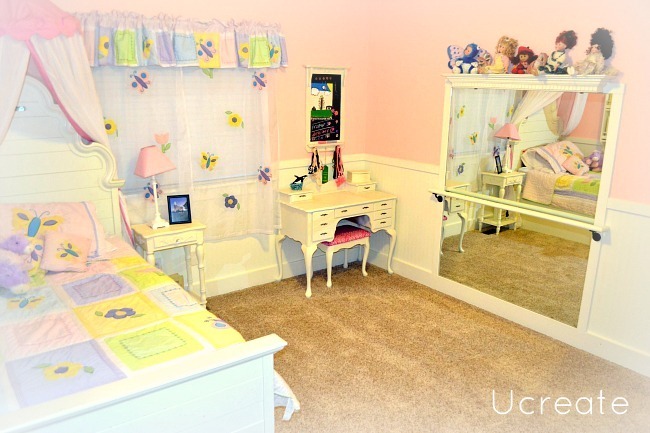 I have one question…where can you find those mirror clips? I went to Home Depot looking for something that would make my mirror flush with the wall (I want to frame in the bathroom mirror, but don’t want to glue the mirror to the wall). The peeps at Home Depot acted like no such thing existed. Any ideas? Oh wow! I love it! Will have to convince my husband to add one in my girls’ room! Great job Laci! My husband did something similar when he made my barre. He used a stairway railing so it is nice and long. Beautiful!! 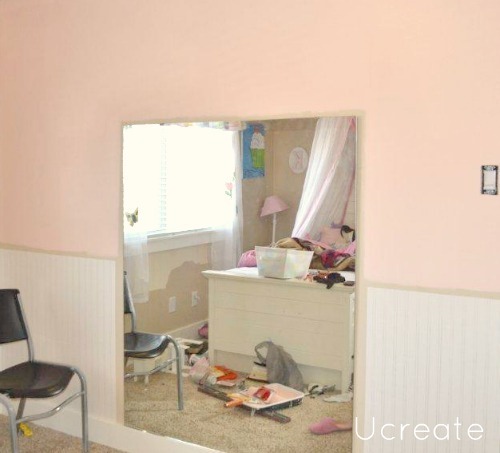 We are redoing my little girls room for her 5th birthday and I’ve been looking all over for a compact and DIY way to put in a ballet barre. Your timing with this post is perfect! I’m making a list of supplies and heading to the hardware store this weekend! Thank you. WOW!!! 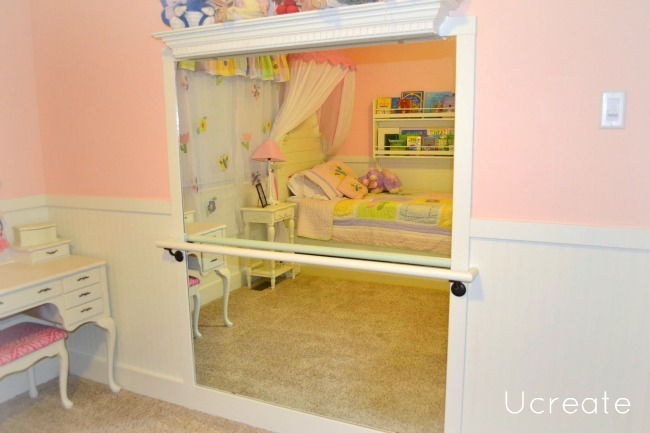 This is spectacular… what little dancer wouldn’t want this in their room. My daughter’s birthday is coming up and this is going to be our gift to her. 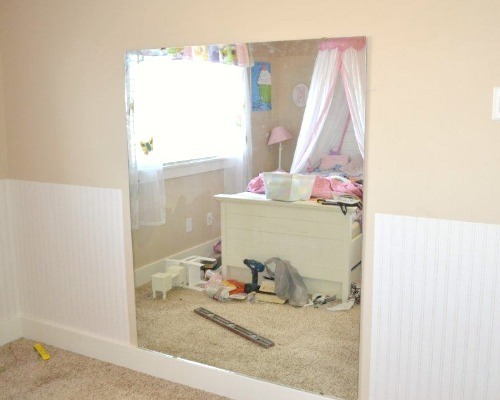 I have two questions, and pardon my ignorance b/c i have no real home improvement skills =( What did she outline the mirror with, it looked like she drilled the bar/rod holders straight into it. Also, what is the piece on top – a decorative ledge, a shelf? ?